This reed case's unique design keeps the saxophone reeds at optimum 52 humidity, thus increasing the longevity of the reeds. This is perfect as it means less money spent on reeds! 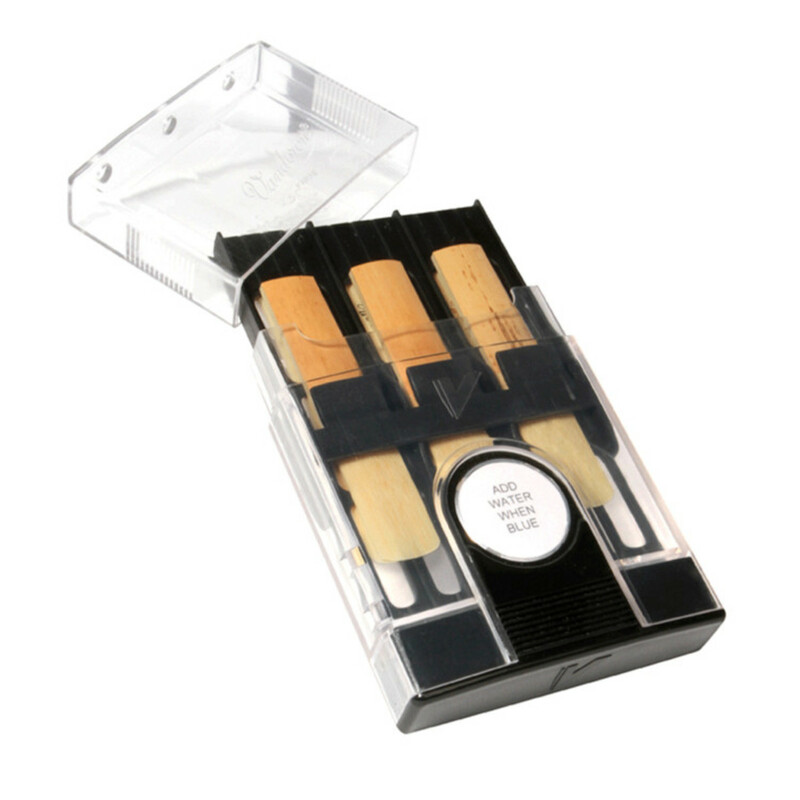 the Hygro Reed Case enables the performer to keep the reed at the correct humidity of 52 . In turn, this keeps the reeds in their pristine condition and prevents them from drying out. On the front of the case is a sensor which turns a different colour when the reeds have become too dry. From there, all you need to do is add water to the sponges provided. Making sure that the case works throughout its life means that eventually dispensable objects will need replacing such as the disc and the sponges. This is no problem and they are available as the Vandoren Replacement Humidity Indicator Discs and Sponge.